Golf clubs, and putters especially, get their names for lots of reasons—some having to do with their performance, some for the designer’s family members and some retain the R & D department’s project moniker. In the case of the new putter collection from Cleveland Golf the name I’m told is simply a reflection of the town where company headquarters is located, Huntington Beach, Calif.
Cleveland as everyone knows makes outstanding wedges and though not particularly thought of as putter company some of their previous models have been excellent such as the TFi 2135 from two years ago. 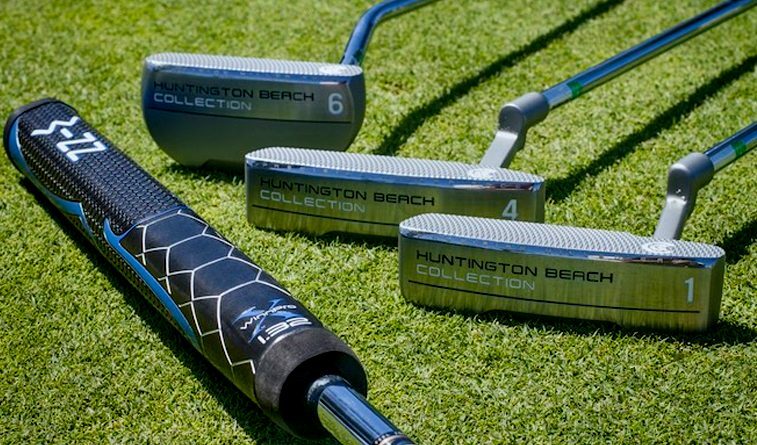 But my interest in the Huntington Beach putter series frankly was because I like Cleveland wedges and therefore thought it would be worthwhile to see what their putters were like. The model chosen was the 6C which is a mid-size mallet, face balanced, center shafted design with a head weight of 360 grams and 3° of loft. The companion model 6 has a similar head but is heel shafted. Three of the others in the collection are traditional blades of 345 gram head weight plus there’s another mid-mallet, the 10, of 360 grams. At first look the most striking feature is the milling of the face which is what Cleveland calls, “a coarse diamond-shaped” pattern that’s four times deeper than their Classic HB putters from 2014. This was done to increase the friction at impact to produce a truer roll. The head is a soft 304 stainless steel and tests by Cleveland engineers found it to be 51% softer than the more common 17-4 stainless used in putter heads. In addition to producing a soft feel at impact, despite the fact there is not insert, it is also easier to bend for customizing allowing plus or minus 4° of lie angle to make the putter exactly what your set up requires. After the first three holes of the first round it was evident the HB 6C was a quality putter. It helped me to knock in a six footer for par, a 20-footer for birdie and a par save on the third hole. It would be fair to say I was sold. Over the remaining rounds were all in Florida on Bermuda greens and, as you get with Bermuda, widely varying speeds and grain. However, the HB 6C gave me the confidence that comes from seeing putts go in or at least get close time after time. It performed well from around the green off the Bermuda fringe where lies are often very tight and prone to the dreaded chunked wedge. 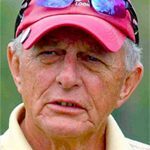 The HB 6C was a natural for taking Hank Haney’s advice that many times a putter is the best choice from off the green, if the turf conditions warrant, on the belief a mediocre putt will almost always be as good as or better than a chip. The face has a very comforting, consistent feel so playing with a Titleist Pro V1, which has a soft cover, distance control was hardly ever an issue. Even testing done on the practice green with a Surlyn or hard cover distance ball did not reveal any problems adjusting to the inherent difference in impact. Negatives: The sole could use a little more curvature to smooth passage through the fringe especially if the putt is into the grain. The HB 6c hit the ball solidly since the sweet spot is fairly large but on downhill-down grain putts care is needed to get the speed correct. Some of the players who tried this model did not like either the head shape or alignment line but liked the feel and all thought a blade-shape would be more suitable. Recommendation: At the top I said Cleveland wedges were the reason for testing the Huntington Beach 6C putter but that was only partly true because I was intrigued at the possibility of finding a premium performing putter at less than a premium price. 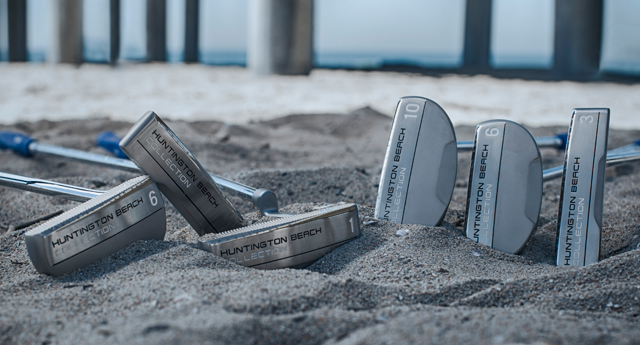 Each of the putters in the Huntington Beach collection sells for $100—plus $10 more for an oversized Winn grip. So the recommendation is to get to a golf shop and try one. I think you’ll like it as I do.